…that includes businesses where customers and employees make educated choices about the places they visit and work every day. Customers and employees today have an EMOTIONAL CONNECTION to the places they work, visit, and do business with. More and more businesses are connecting to the needs of employees and customers with refreshment stations, visually pleasing waiting areas, and collaborative workspaces. It may be the quiet setting, yet vibrant hues of a restaurant, or the customer service of a posh modern classics office that spurs one to return again, and again. When the CUSTOMER EXPERIENCE in a space is positive they return and refer NEW CUSTOMERS. Every design we implement takes into consideration how it will be used, viewed, and ultimately experienced by the customers, employees, and others. 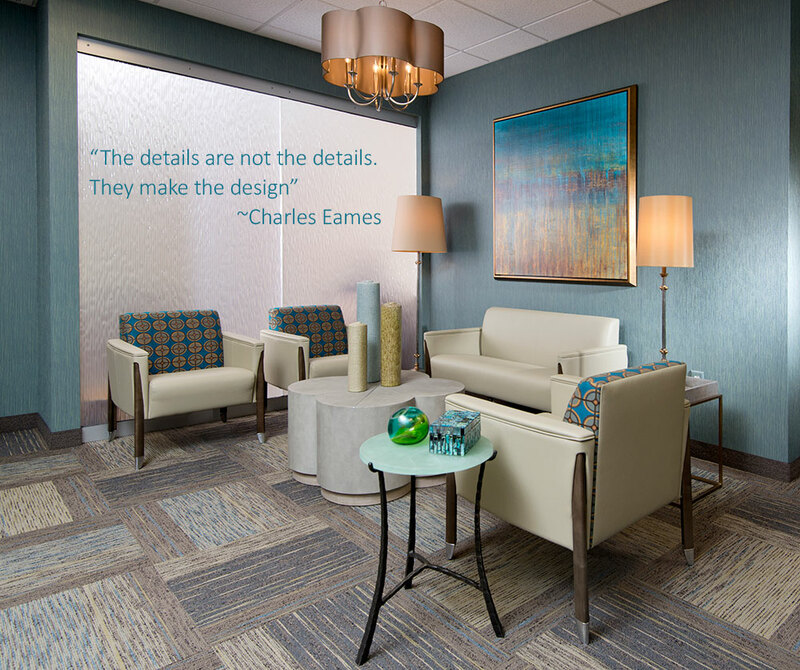 What better way to create that bond than with an interior design for your office, retail space, hotel, or restaurant that evokes PERSONAL CONNECTIONS and repeat business. Design is our area of expertise. That is why our TURN-KEY SERVICE is perfect for business owners. We will manage the entire project and let you focus on running your business. From design to installation and final inspection we make sure the final result delights you, your employees, and your customers.